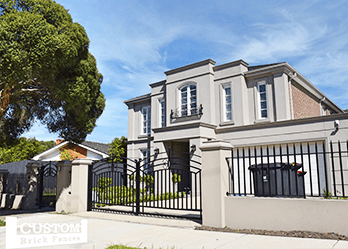 When it comes to custom-made gates and fencing in Blackburn, Custom Brick Fences can accommodate to your specific needs. We’re Blackburn’s most reliable and knowledgeable specialists in fences and gates, so you can trust us to deliver the most appropriate product for your home. We pride ourselves on providing customers with a broad selection of gates and fencing. 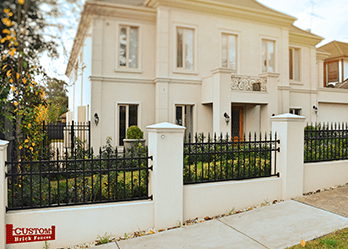 Blackburn-based residents will appreciate our range and services, from brick and steel fences to automated security gates and durable wrought iron gates, we’ve got the perfect product for your household. Our reputation for offering customers expert knowledge on fences and gates speaks for itself. 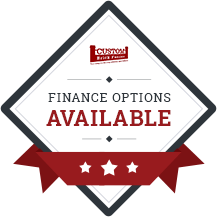 We’ve been in the business for over 15 years, so you can count on our qualified staff to help you with deciding on the best fence or gate for you. 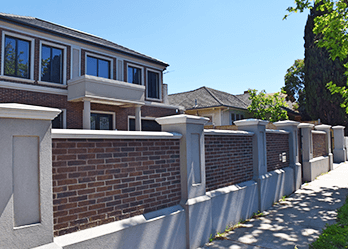 At Custom Brick Fences customers are the focus, which is why we make the utmost effort to listen to your needs and provide you with many possible solutions. We go out of our way to design and build site-specific gates and fences in the way that you want. We aim to assist you with every step of the process. Whatever your concerns, our staff can organise the removal of the old fence before installing your new fencing in Blackburn, and can also liaise with your local council for all your permits. Looking for specialists in fences and gates in Blackburn? Call Custom Brick Fences today!